In order to broaden knowledge on the linkages between agriculture and development, the Abuja Office of the International Food Policy Research Institute (IFPRI) held on behalf of the Feed the Future Nigeria Agricultural Policy Project, its first ever training course on “International Issues in Agriculture and Development” for staff of the Agricultural Research Council from 29-30 November 2018 in Abuja. 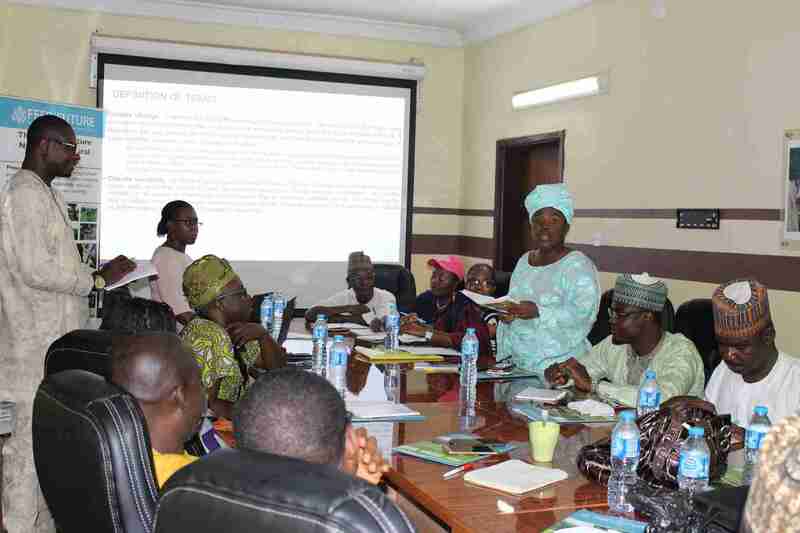 The maiden edition of this training course was attended by 20 participants (14 male, 6 female) and provided them with an overview of contemporary issues in agricultural policy, particularly for Nigeria. Topics covered included Land Governance, Climate Change, Nutrition and Food Systems among others. The training is part of the activities of the Feed the Future Nigeria Agricultural Policy Project, which is jointly implemented by Michigan State University and IFPRI’s Nigeria Strategy Support Program with funding from the United States Agency for International Development (USAID/Nigeria).